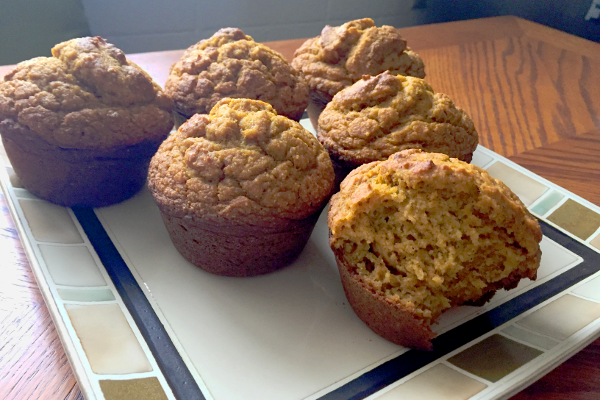 Here’s a simple healthy pumpkin muffins recipe to try this season (or anytime of year). Mix dry ingredients in medium bowl. If you use spices, add them to the dry mixture. Mix wet ingredients in a separate large bowl. Add the pumpkin last once everything else is fully blended. Add the dry ingredients to the large bowl. Combine until smooth and no flour is seen. Don’t over mix. If using chocolate chips or pecans, add them last and evenly distribute throughout the batter. 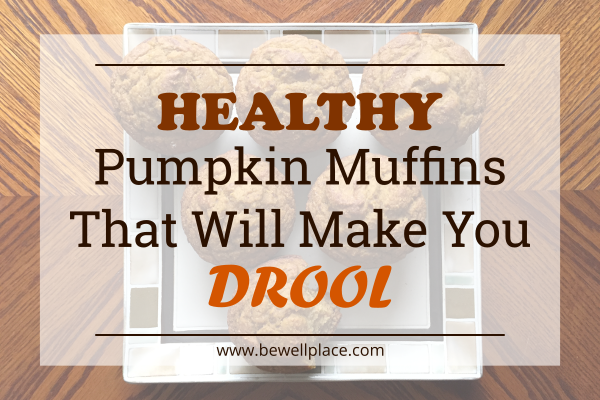 Grease a muffin pan or assemble muffin tins. Also, grease the top of the pan to prevent muffin tops from sticking. Pour batter in the pan. Tip: Use a measuring cup to transfer batter without splooging it all over the pan. Bake for about 20 minutes. Tip: Use a toothpick or skewer to test the doneness of a middle muffin. Insert the toothpick into the center of the muffin, then pull it out gently. If lots of wet batter remains on the toothpick, bake for another 3-5 minutes. Mayo Clinic: Fruit or vegetable – Do you know the difference?